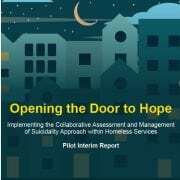 John Meehan, the Head of National Office for Suicide Prevention, today (13 June 2018) launched Dublin Simon Community’s interim report into interventions for suicidality by announcing funding for a ‘Homeless Specific Out of Hours Counselling Service’. 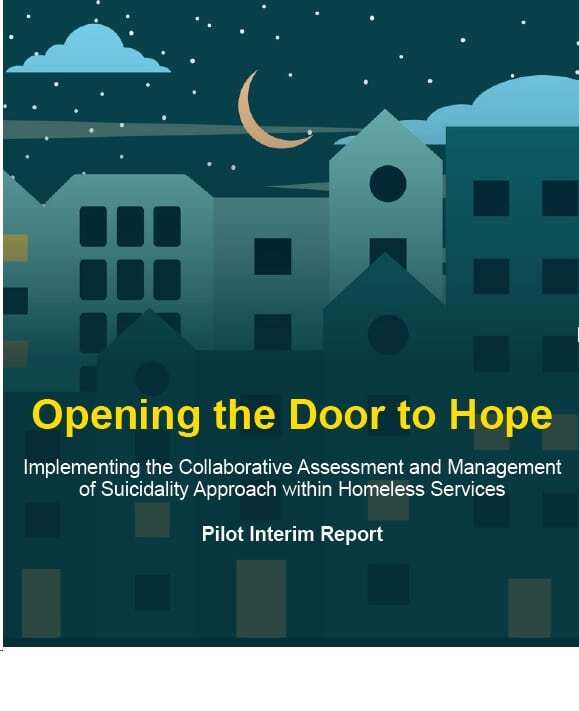 The report, “Opening the Door to Hope” which identified ways to support people who expressed suicidal ideation, found that targeted measures reduced the frequency of suicidal thoughts and behaviours. “The aim of our pilot was to identify ways to support people who expressed suicidal ideation with suitable, well established and proven interventions. In particular, we aimed to provide an alternative intervention to A&E for people in a crisis situation. “The report identified, across all participants, a range of common factors found to influence suicidal presentations such as psychological pain, stress, agitation, hopelessness, self-hate and being homeless. “Many of the people we work with have been exposed to some form of previous trauma, and they can often have severe mental health and substance use issues. Through our daily work we see the urgent need for interventions, at any time of the day. “The CAMS Approach complemented our person-centred therapeutic approach in Sure Steps very well. In our specific model of counselling, we relax some of the traditional barriers that often prevent clients experiencing homelessness from accessing mainstream counselling services. We have seen a significant uptake in this vital counselling service. Due to this increased demand, we have greatly expanded it over the past four years with over 3,000 one to one counselling hours now available yearly. Full report can be viewed here.